Wild party of one, your table is ready! | We are sick and tired and we are not going to take it anymore! Wild party of one, your table is ready! We are sick and tired and we are not going to take it anymore! This isn’t just about appearances (though those matter), but also about traffic — a clean, attractive, easy-to-navigate site is one readers are more likely to visit again. Here are five things you can do in the next ten minutes to see immediate results. Theproblem: Widgets are a great tool for organizing your content and customizing your blog’s look. Overstuffing your sidebar (or other widget areas), though, can make your blog look busy, disorganized, and less professional. Lá Fhéile Pádraig Shona Duit! And, if you don’t speak Irish, Happy Saint Patrick’s Day! March 17th is a public holiday in Ireland, Newfoundland and Labrador, and Montserrat that commemorates Saint Patrick and the arrival of Christianity in Ireland. Today, we’re showcasing Irish blogs and bloggers as a way to join in the fun. If we’re celebrating, we’ve got to have good food. Foodies will enjoy One Man’s Meat , where Irish blogger Conor Bofin shares his carefully photographed recipes, well-seasoned with humor. We especially enjoyed his recipe for an English classic, toad in the hole, and this amazing hot smoked duck with orange marmalade. 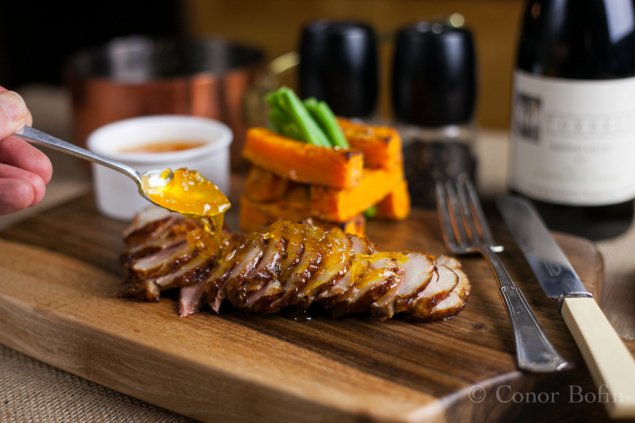 Hot Smoked Duck with Orange Marmalade, by Conor Bofin. Kildare-based photographer Edward Mooney showcases his work over at EdMooneyPhotography . His photo essay on Donadea Castle captures the beautiful ruins in black and white. Every week, Automatticians — the people behind WordPress.com — participate in conferences, WordCamps, and other community events around the world. Today, let’s hear from Happiness Engineer Karim Osman, who just returned from WebCoast, in Gothenburg, Sweden. WebCoast is a WordPress.com-sponsored conference that focuses on online communication and web development. After a three-hour train ride, I finally arrived in Sweden’s second-largest city: Gothenburg. This was my first time there, and my fellow Happiness Engineer Fabiana Simões showed me around town. It’s a lovely city with great sights, amazing architecture, and cozy cafes — the perfect place for a conference. 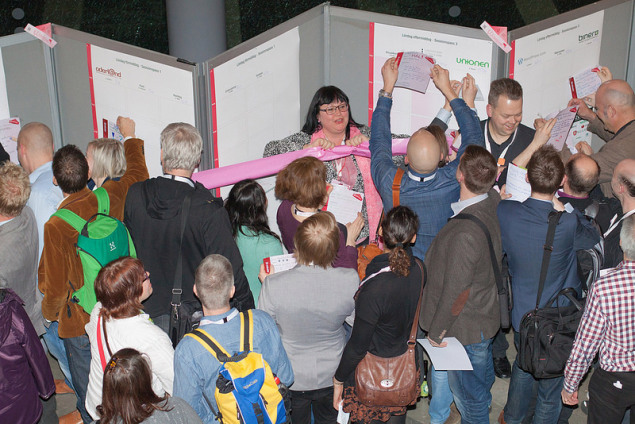 The nicest thing about WebCoast is that it’s a three-day, unconference-style event. “Unconference” means that the content is organized and created by the conference attendees: there was a gridded board where speakers booked a slot for their talk, workshop, or discussion session. Then others decided which sessions they’d like to attend. ‘Antoinette Capasso-Backdahl would like to share papers and updates with you. ‘Antoinette Capasso-Backdahl has invited you to Academia.edu, a global network of over 7,906,346 researchers. After you sign up, you’ll be able to share your papers, see analytics on your profile and papers, follow other people in your field, and more. Academia.edu’s office is at: 251 Kearny St., Suite 520, San Francisco, CA, 94108. To opt out of receiving these kinds of emails from Academia.edu, click here. He’s Back. James O’Keefe Blows Open Navigators Like He Did Acorn. He’s Back. James O’Keefe Blows Open Navigators Like He Did Acorn..
ACORNholio strikes again? How do we protect Information Security, control UNIONS & provide EVIDENCED BASED OUTCOMES? Why did any contract go to ACORN when we have fully capable people with INFORMATION SECURITY and SYSTEMS DESIGN training at each state? Is this entrapment by having folks commit fraud on their applications? If we are hiring felons to encourage felonious activity to ensnare folks into prison that is entrapment. I saw the C-Span hearings, their focus was on prosecuting applicants who lied on their insurance apps. Don’t tell me ACORN and ACORN International is running the prison system. That would be way too TWILIGHT ZONE for me! ACORN was only 35,000 members large pre Kartina. Post Katrina, a whopping 450,000 within the first year. Rathke’s brother was in trouble for absconding funds, but that didn’t help New Orleans. Neither did ACORN when they formed ACORN International. Was their New Orleans on their list of priorities? Not so much!